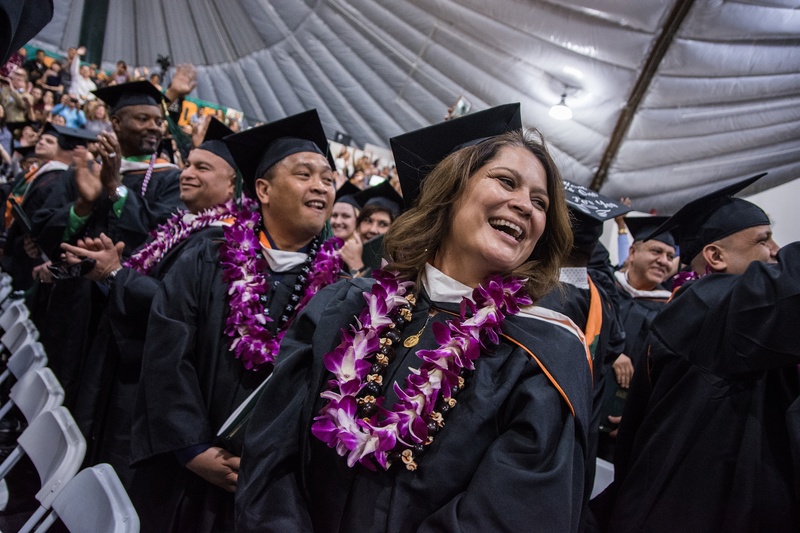 The University of La Verne will honor more than 700 bachelor’s, master’s, and doctoral degree graduates from its La Verne campus, regional campuses, and online programs during 2019 Winter Commencement ceremonies. The College of Arts and Sciences will lead the ceremonies beginning on Friday, Feb. 1 at 4 p.m. On Saturday, Feb. 2, LaFetra College of Education will begin at 9:30 a.m. followed by the College of Business and Public Management (master’s and doctoral degree graduates) at 1:30 p.m. At 5:30 p.m., the College of Business and Public Management will honor bachelor’s degree recipients. All ceremonies will take place at the Sports Science and Athletics Pavilion on the La Verne campus. Guests must have a printed ticket in order to enter. Tickets are only valid at the commencement ceremony listed on the ticket. Doors will open one hour prior to each ceremony. Seating is general admission and first-come, first-serve. Parking is free in university lots and the parking structure. All ceremonies will be live streamed from the Sports Science and Athletics Pavilion. The broadcast will begin approximately five minutes prior to the start of each ceremony. For additional information, visit laverne.edu/commencement.